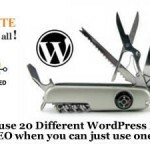 SEO Ultimate, the revolutionary WordPress SEO plugin from SEO Design Solutions, has been upgraded with a new Sharing Facilitator module that makes it easy for your visitors to promote your blog on social networking sites. Sharing Facilitator supports two popular all-in-one sharing buttons: ShareThis and AddThis. ShareThis lets your visitors share your content on almost 50 social media sites, while AddThis supports approximately 300 sites. These sharing buttons appear at the bottom of each of your posts. When your visitors hover over one of the buttons, they are presented with a popup menu of sites where they can promote your content. 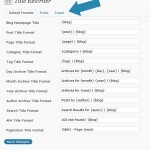 These buttons make it easy for visitors to build traffic and links to your blog. 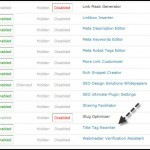 Go to “Sharing Facilitator” under the “SEO” menu in your WordPress admin. That’s it! Once you’re finished, you can go to your site and check out your new buttons. No extra plugins to install, no theme edits to make, just a few simple steps and you’re done. 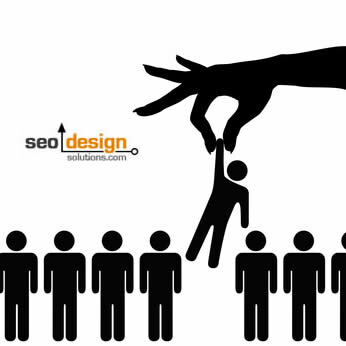 In fact, SEO Ultimate’s Sharing Facilitator is even simpler to use than the official ShareThis plugin, which requires signing up for a user account, going through a multi-step wizard, and copying/pasting code between browser windows. Sharing Facilitator, on the other hand, just requires a couple of clicks. 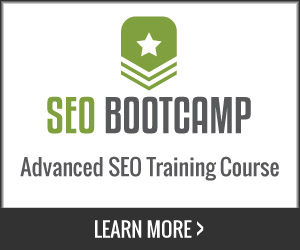 That’s the ease and simplicity of SEO Ultimate, the free SEO plugin that leaves the competition in the dust. 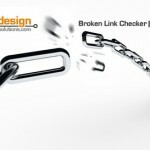 Install it today and take advantage of its dozens of revolutionary features. 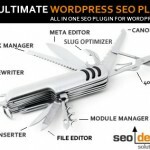 Just use the automated installer on the SEO Ultimate homepage or download the zip file directly from WordPress. The combination of ShareThis and AddThis apps is really a revolutionary app and connecting them to great number of social sites is awesome! I am really hurry to get this, can’t wait applying and testing on my blogs! Thanks for the share and creation! Keep up the good work! Is there a login section so the metrics can be tracked by both networks? I’m amazed with the quality of your plugin. 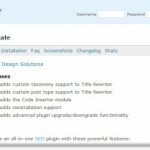 Might I suggest you create a free premium theme that is optimized for the plugin? I love the integrated button on Posts and Pages, but would also love to turn it off on the home and archive pages, since the link it shares isn’t the link to the post snippet the button is under, but the URI of the home/archive page. What I’d like best is to be able to choose (without editing the plug-in) to only show the button on single post views or pages.